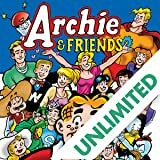 Archie and his friends present a collection of quarterly classic-style stories sure to be music to your ears! 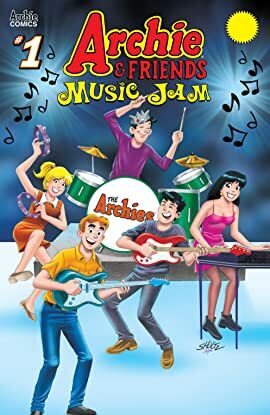 Follow Archie from the record store to the recording studio to the music awards in this collection of stories of musical mishaps and mirthful melodies! 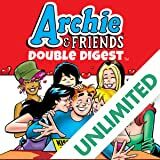 Nobody has more friends than Archie Andrews! Join Archie, Jughead, Betty & Veronica and the whole Riverdale gang in some wacky hijinks! Betty Cooper is the sweet, innocent girl-next-door. 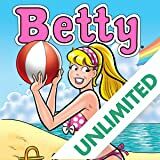 Betty loves to bake, play sports, and go to school, but she loves Archie the most! She's crazy about America's favorite redhead, but she always competing for his heart with Veronica, her best friend. 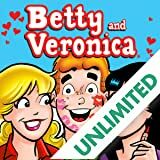 Betty, the middle-class girl-next-door and Veronica, the beautiful rich girl are the best of friends, even though they're very different. They do share one thing in common, though -- their boyfriend, Archie! Who will win his heart for good? The fan-favorite classic Archie Comics style is back in BETTY & VERONICA FRIENDS FOREVER, a new series of one-shots for all ages written by Archie veteran Bill Golliher with art by Archie legend Dan Parent. 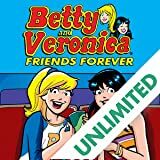 The FRIENDS FOREVER series spotlights the timeless best friend duo in themed issues showcasing Betty and Veronica at the movies, traveling across the world, and more! What's better than reading stories about Archie and his friends? Reading over 100 pages of them! These jam-packed books are chock-full of great stories, both new and classic!